Everyone feels foolish, embarrassed, judged or criticised at times, but this becomes a problem when it undermines your confidence and prevents you from doing what you want to do. Extreme social anxiety and shyness can be crippling but they are readily treated using Cognitive Behavioural Therapy. 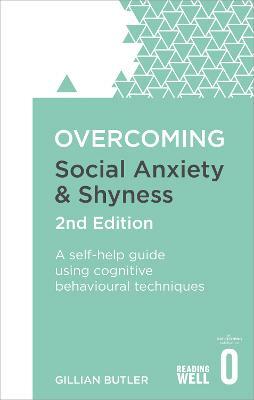 In this fully revised and updated edition, Dr Gillian Butler provides a practical, easy-to-use self-help course which will be invaluable for those suffering from all degrees of social anxiety.